The 3 Socket Light Cord with Bulbs makes an excellent item to keep on hand when setting up your holiday village display. This item is a great way to eliminate single light cords and give a less cluttered look to your town. 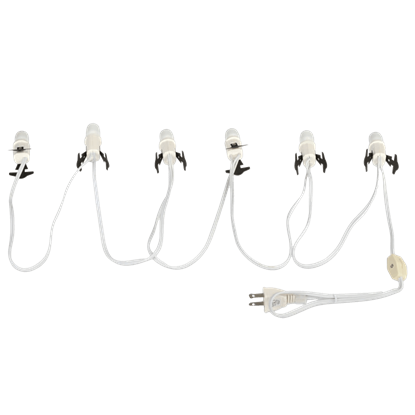 The 6 Socket Light Cord with Bulbs makes an excellent item to keep on hand when setting up your holiday village display. 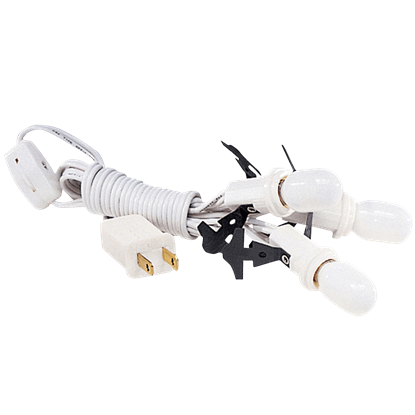 This item is a great way to eliminate single light cords and give a less cluttered look to your town. 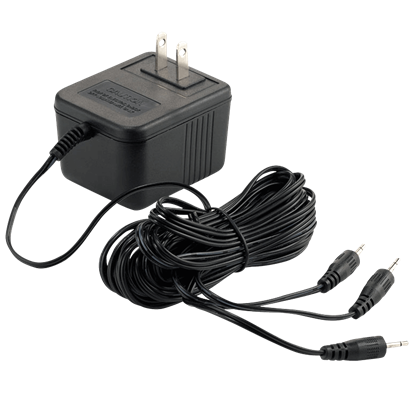 Keep your holiday village shining brightly all season long with the help of the AC DC Adapter for 3 Accessories. This convenient product replaces batteries on most Department 56 accessories that come with a battery pack. 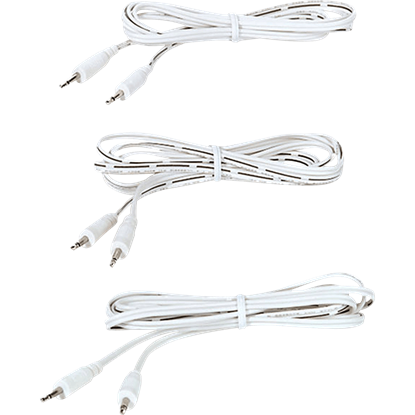 The Additional Accessory Power Cords set comes with a trio of white cords intended for use with Department 56s Building and Accessory Lighting System. 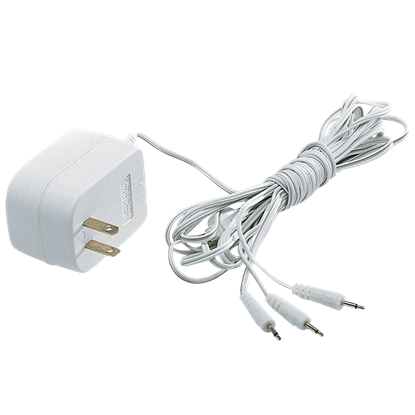 The three power cords enable collectors to provide power to more accessories. 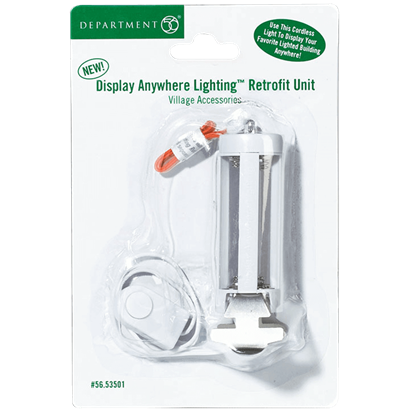 The Display Anywhere Retrofit Unit can be used with most Department 56 buildings in place of a traditional light cord. The battery operated lighting unit works great in places where a power source is not readily available. Add a festive air to your holiday village display with these colorful light bulbs! The Red and Green Replacement Bulbs includes a pair of light bulbs in red and green hues that are perfect for decorating during the Christmas season. The spooky lights in a haunted house are the key factors to making a Halloween village extra eerie. 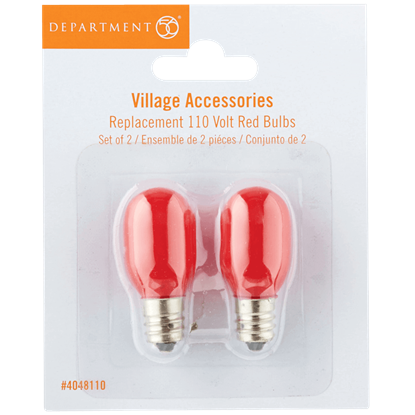 Make sure you always have these Red Replacement Light Bulbs on hand to keep your Halloween village frightfully lit all season long. The Replacement 12V Light Bulbs are a great item to keep on hand when setting up your holiday village display. 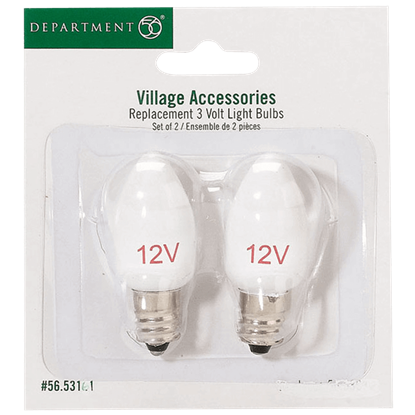 This set of two 12-volt light bulbs can be used with a number of Department 56 village buildings and accessories. 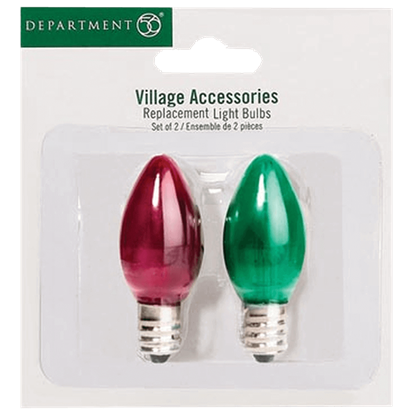 The Replacement 3V Light Bulbs are a great item to keep on hand when setting up your holiday village display. 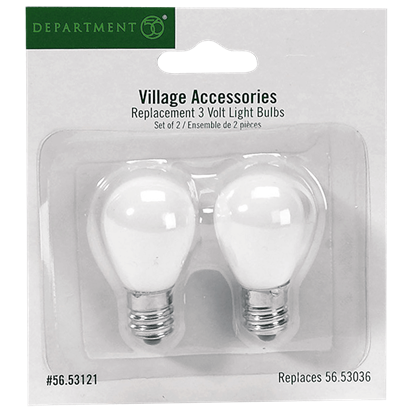 This set of two 3-volt light bulbs can be used with a number of Department 56 village buildings and accessories. The Replacement Auxiliary Cord with Light makes an excellent item to keep on hand when setting up your holiday village display. 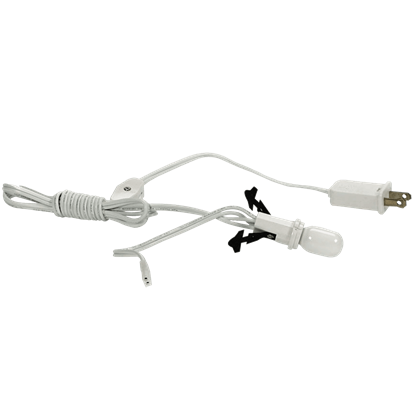 The light cord features an auxiliary clip and will work with many Department 56 lighted buildings. The Replacement Round Light Bulbs are a great item to keep on hand when setting up your holiday village display. 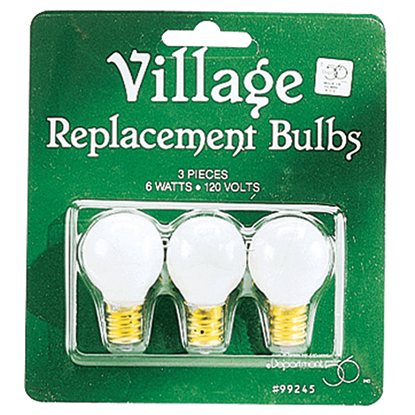 This set of three 6-watt, 120-volt light bulbs can be used with many Department 56 village buildings and accessories.